Danny Anglin graduated from Albany Technical College in 1992 and began his scale career with Mettler Toledo. He has worked as a resident Field Service Representative for the last 24 years. 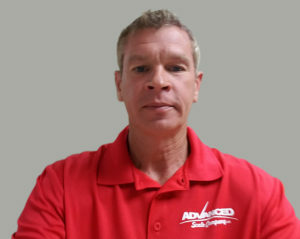 Danny Is ISO17025 accredited and was responsible for South Georgia and North Florida territories in addition to handling ISO calibrations. Danny is qualified as a Retail Installation Coordinator for several major grocery store chains. He is experienced in sales, installation, calibration and repairs of all makes and models of scales – from lab balances to railroad track scales. Danny is married and has two children – Josh 25 and Joseph 18, and enjoys boating and fishing in his spare time.